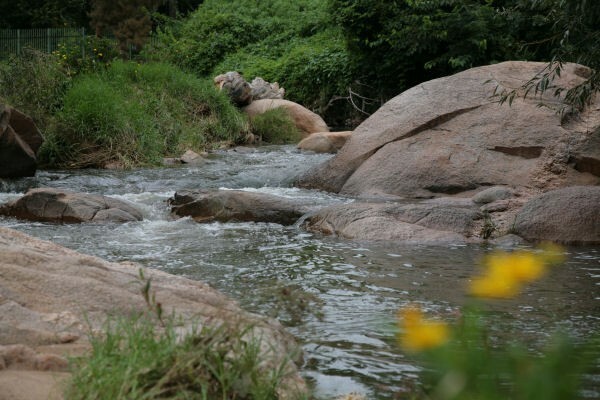 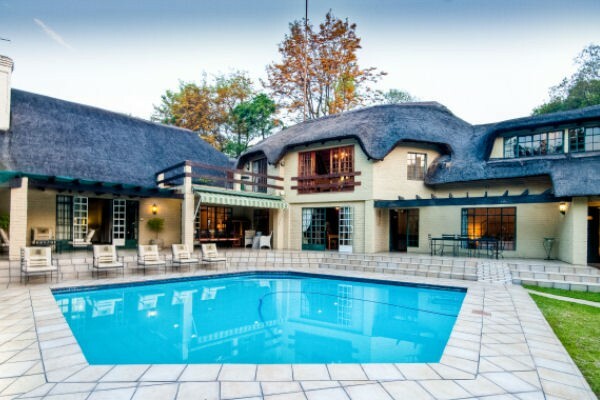 Thatchfoord Lodge is not just an average B&B, but rather a haven where you can feel at home when away on business, holiday or even on a short stay-over visit in Johannesburg. 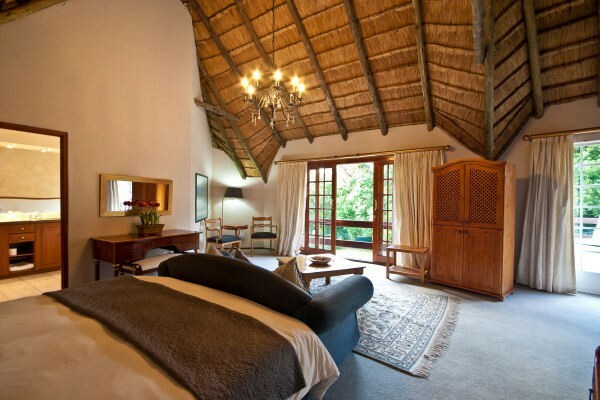 The furnishings, design and thatched roof creates a country house feeling, and with the calming sound of the Sand River flowing by, you will forget that you are actually in the heart of the city. 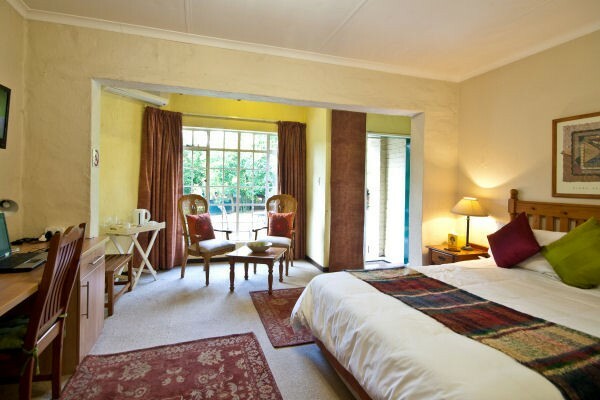 Most of our nine spacious, en-suite bedrooms overlook the large sparkling pool, patio and shady garden, all at the disposal of our guests wishing to relax in secluded privacy. 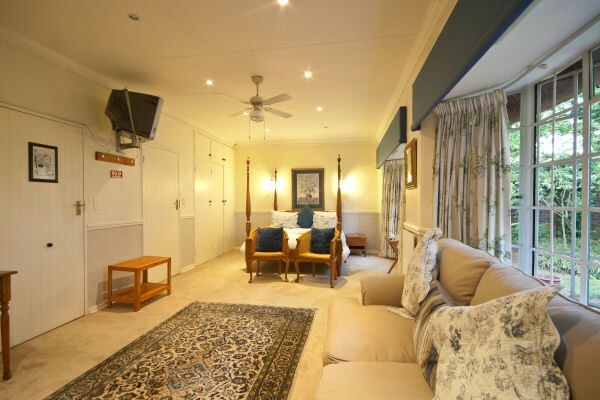 All rooms have broadband wireless internet access, TV and shared DSTV, heaters and fans, hair dryers, tea/coffee facilities and much more! 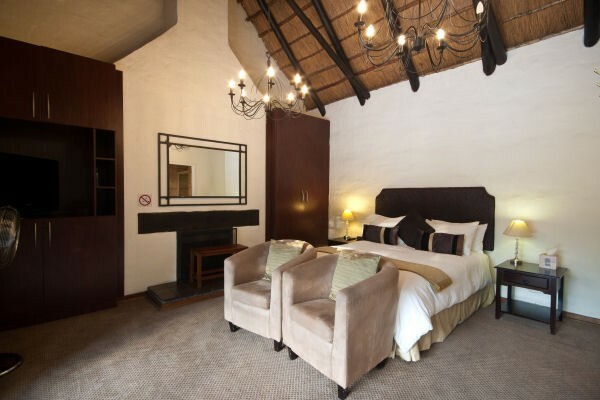 We also have air-conditioning and mini bars in selected rooms. 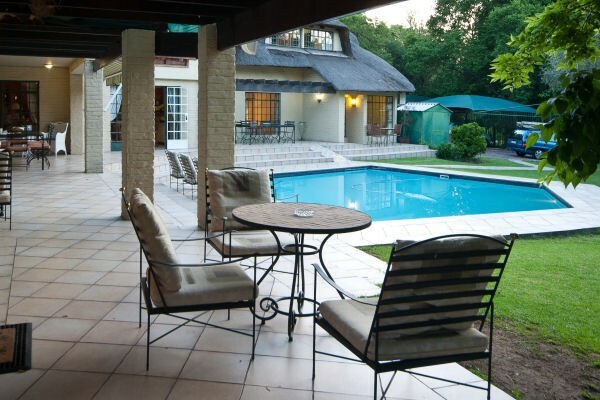 Thatchfoord Lodge is conveniently situated within minutes of Sandton City, Rivonia, Woodmead and Sunninghill, as well as the M1 and N1 motorways which ensure easy access to OR Tambo International Airport. 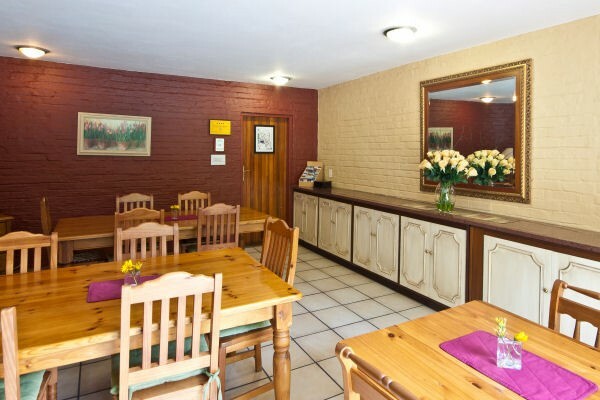 (Approximate traveling times: OR Tambo 25 minutes, Midrand 15 minutes, Pretoria 30 minutes) We pride ourselves in personal and friendly service in a "home-away-from-home" environment.